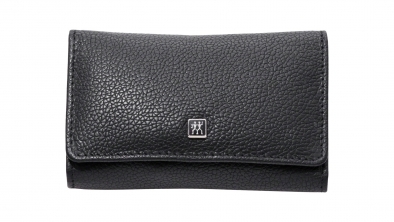 High-quality cases made of genuine leather in attractive materials and colours. 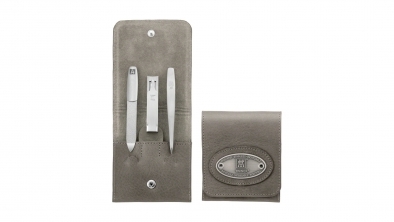 Pocket case, Neat's leather, anthracite, 3 pcs. 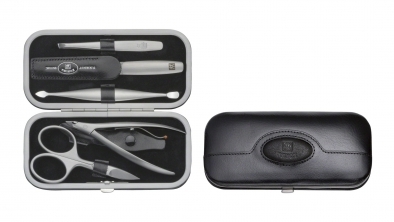 Neat's Leather Frame Case with Pocket Knife, Black, 6 Pcs. 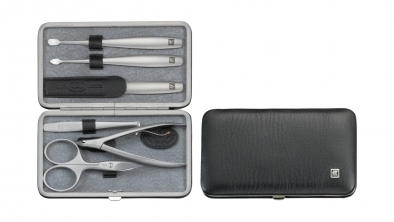 Russia Leather Manicure Set, Black, 5 Pcs. Yak Leather Manicure Case with Zip Closure, Black, 5 Pcs. 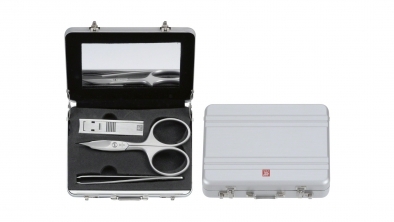 Manicure case, aluminium, 3 pcs. 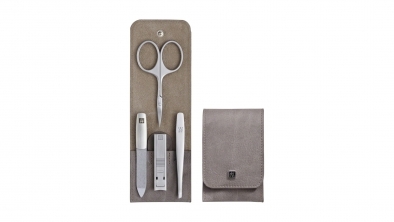 Calf Leather Pocket Manicure Set, Taupe, 4 Pcs. 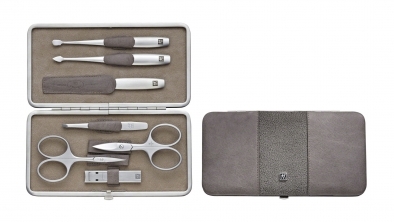 Calf Leather Manicure Set with Zip Closure, Taupe, 5 Pcs. 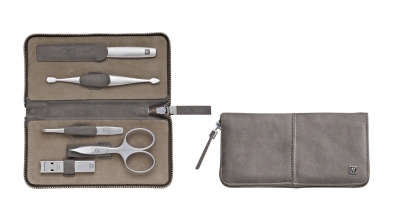 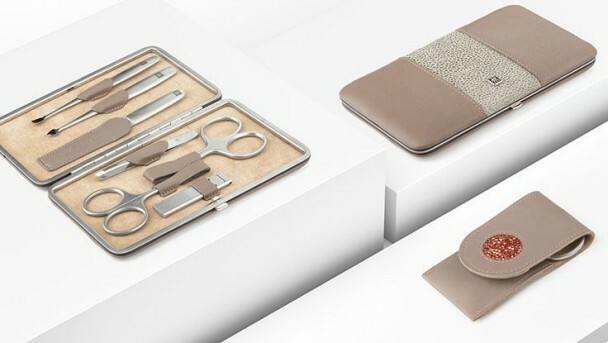 Calf Leather Manicure Set with Zip Closure, Taupe, 7 Pcs. Textured Calf Leather Pocket Manicure Set, Taupe, 3 Pcs. 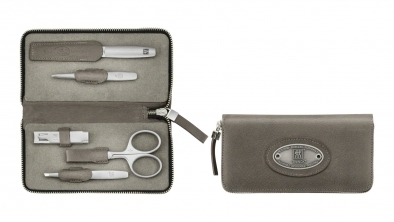 Textured Calf Leather Manicure Set, Taupe, 6 Pcs. 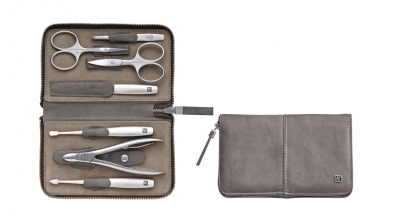 Calf Leather Manicure Set, Taupe, 7 Pcs. 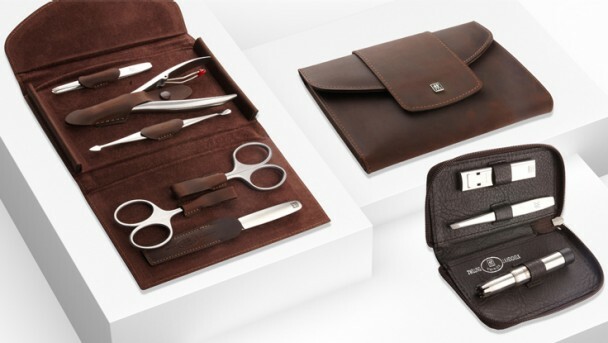 Zip fastener case, neat´s leather, brown, 5 pcs. Pocket Case, Leather, Red, 3 pcs. 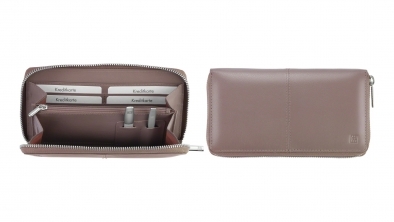 Neat's Leather Pocket Manicure Case, Taupe, 3 Pcs. 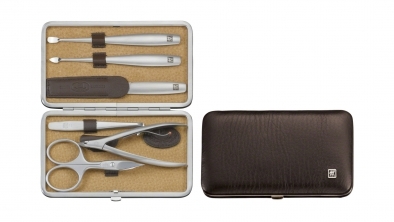 Nappa Leather Manicure Set, Brown, 3 Pcs. 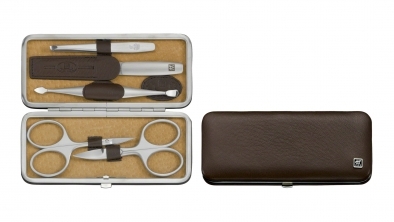 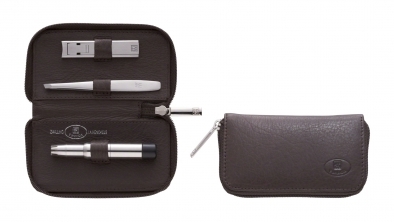 Nappa Leather Manicure Set with Zip Closure, Brown, 6 Pcs. 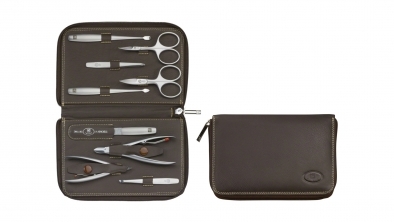 Nappa Leather Manicure Set with Zip Closure, Brown, 9 Pcs. 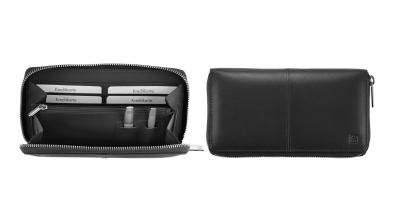 Pocket case, Leather, Black, 3 pcs. 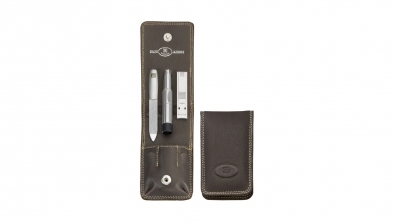 Snap fastener case, neat´s leather, brown, 3 pcs. 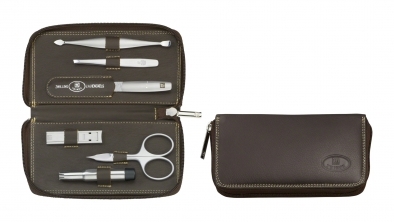 Zip fastener case, neat´s leather, brown, 3 pcs. 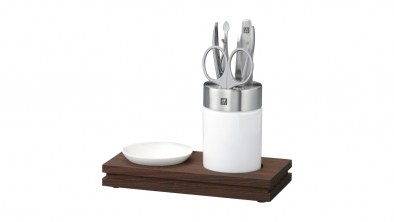 Wooden Manicure Station, Brown, 5 Pcs. 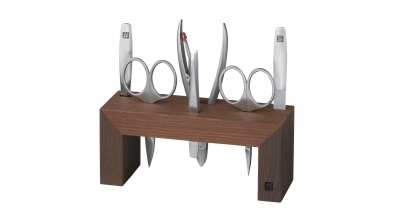 Wood and Glass Manicure Station, Brown, 7 Pcs. 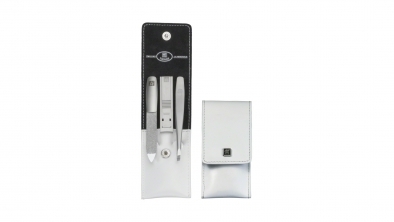 Spazzolato Calf Leather Pocket Manicure Set, White, 3 Pcs. Elk Leather Manicure Set, Black, 6 Pcs. 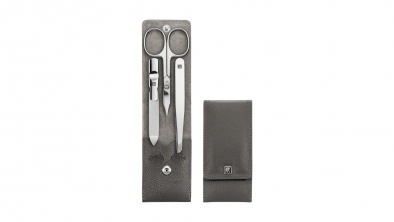 Elk Leather Manicure Set, Brown, 6 Pcs. 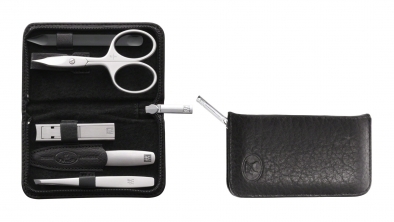 Nappa Leather Manicure Set with Zip Fastener, Black, 7 Pcs. 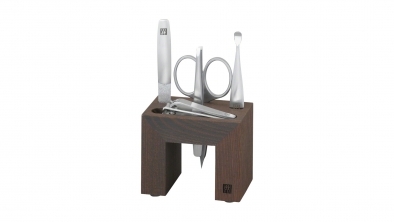 Wooden Manicure Station, Brown, 6 Pcs. 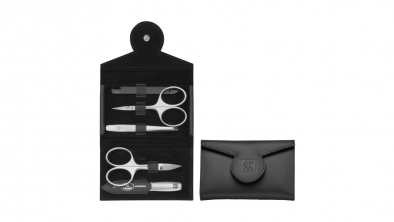 Calf Leather Pocket Manicure Set, Black, 2 Pcs. 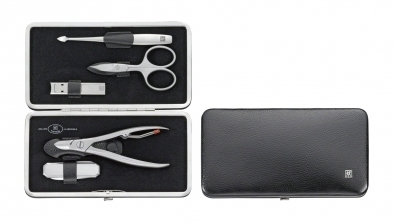 Calf Leather Rectangular Pocket Manicure Set, Black, 5 Pcs. 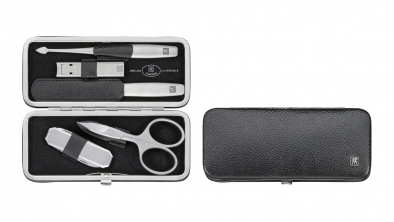 Calf Leather Rectangular Manicure Set, Black, 5 Pcs. 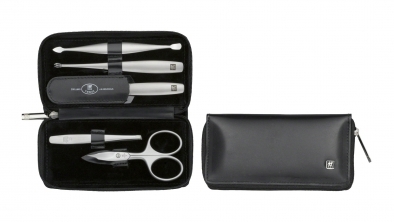 Nappa Leather Professional Manicure Set, Black, 9 Pcs. 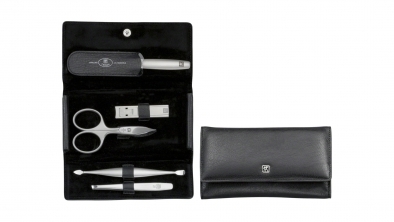 Spazzolato Calf Leather Manicure Set with Zip, Black, 5 Pcs. 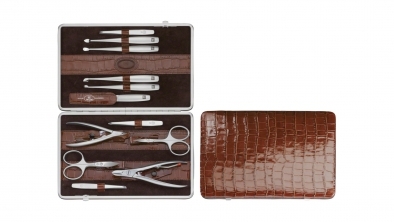 Crocodile Finish Calfskin Manicure Set, Cognac, 12 Pcs. 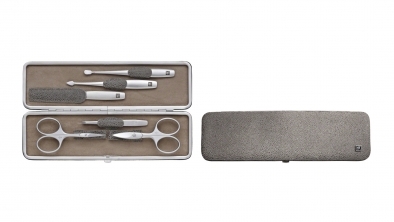 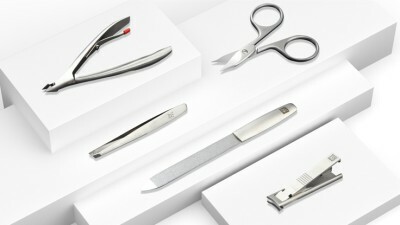 Brushed Steel Flat Manicure Set, 6 Pcs. 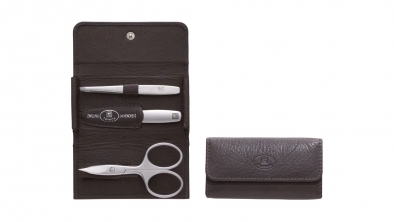 Elk Leather Manicure Set, Brown, 5 Pcs. Embossed Calf Leather Manicure Set, Black, 5 Pcs. 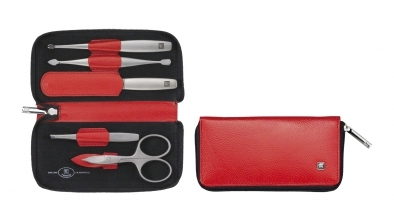 Nappa Leather Manicure Set, Red, 4 Pcs. Crocodile Finish Calfskin Manicure Set, Black, 12 Pcs. 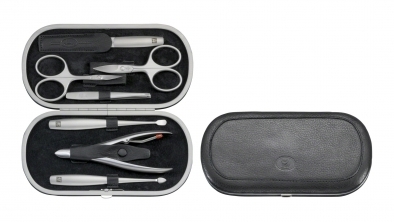 Yak Leather Manicure Set, Black, 7 Pcs. 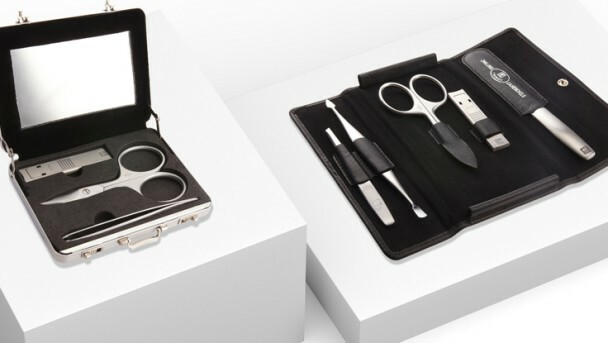 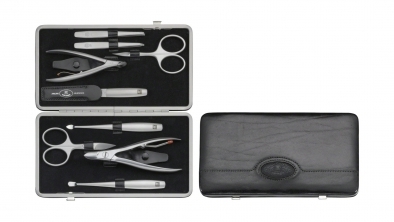 Calf Leather Manicure Set in Frame Case, Black, 9 Pcs. 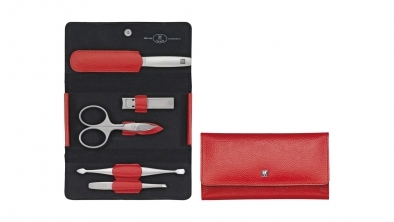 Calf Leather Manicure Set with Zip Closure, Red, 5 Pcs. 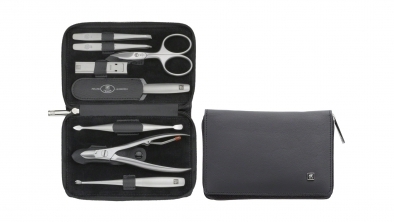 Spazzolato Calf Leather Manicure Set, Black, 5 Pcs. 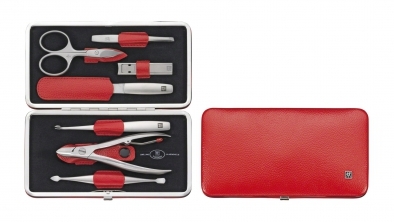 Calf Leather Manicure Set, Red, 7 Pcs. 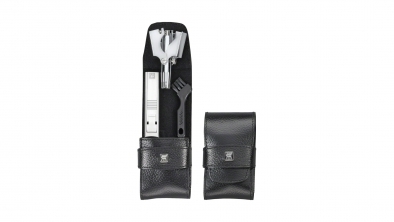 Yak Leather Rectangular Manicure Set, Black, 5 Pcs. Nappa Leather Manicure Set with Snap Fastener, Black, 5 Pcs. 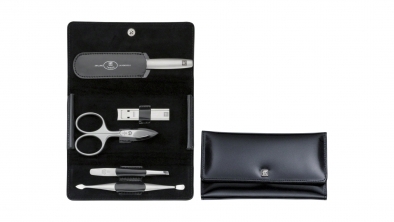 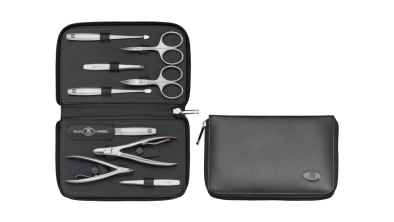 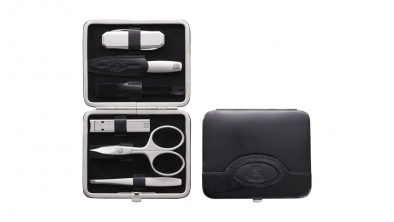 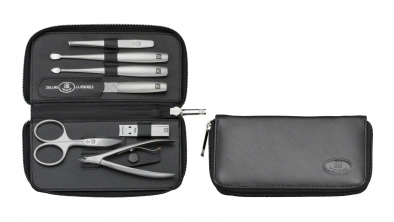 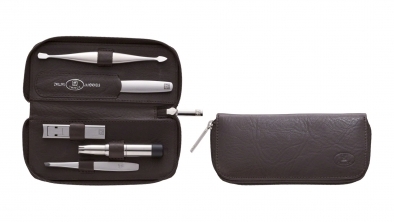 Nappa Leather Manicure Set with Zip Closure, Black, 8 Pcs. Yak Leather Manicure Set, Black, 5 Pcs. 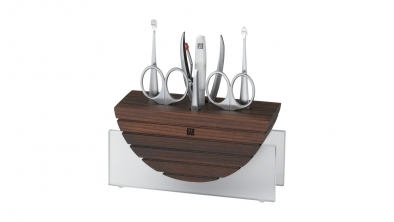 Wood and Stainless Steel Manicure Station, Brown, 5 Pcs. 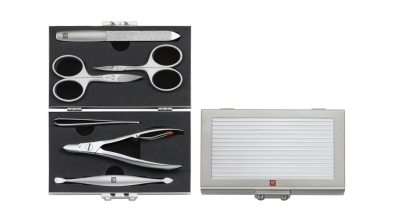 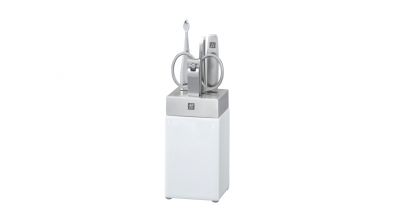 Porcelain and Stainless Steel Manicure Station, 5 Pcs. 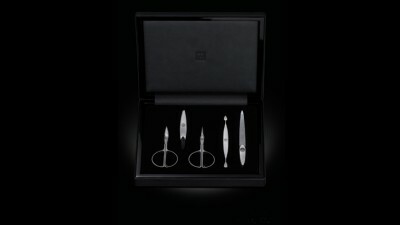 Porcelain and Steel Manicure Station with Dish, 5 Pcs. 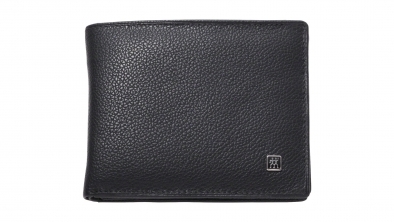 Pocket case, neat's leather, black, 3 pcs. 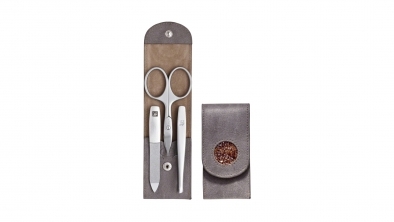 Calf Leather Beaded Pocket Manicure Set, Taupe, 3 Pcs. 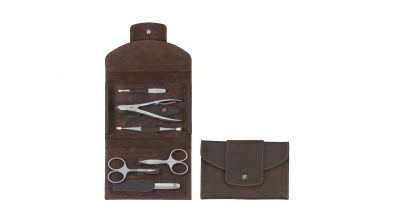 Calf Leather Manicure Set with Snap Fastener, Brown, 6 Pcs. 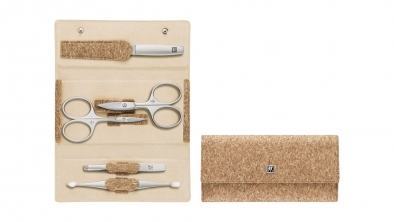 Cork Pocket Manicure Set With Snap Fastener 5 Pcs. 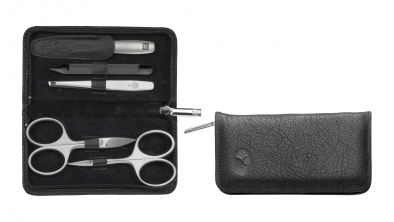 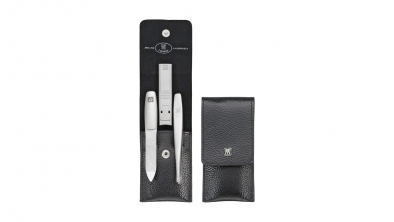 Yak Leather Pocket Manicure Set, Black, 3 Pcs. 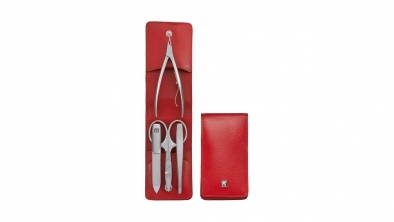 Calf Leather Manicure Set, Red, 3 Pcs. 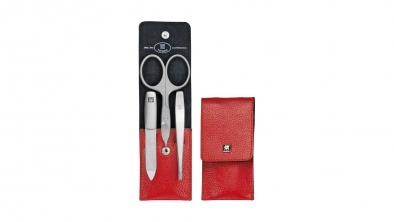 Textured Calf Leather Manicure Set, Red, 5 Pcs.